This is the pinnacle of success. 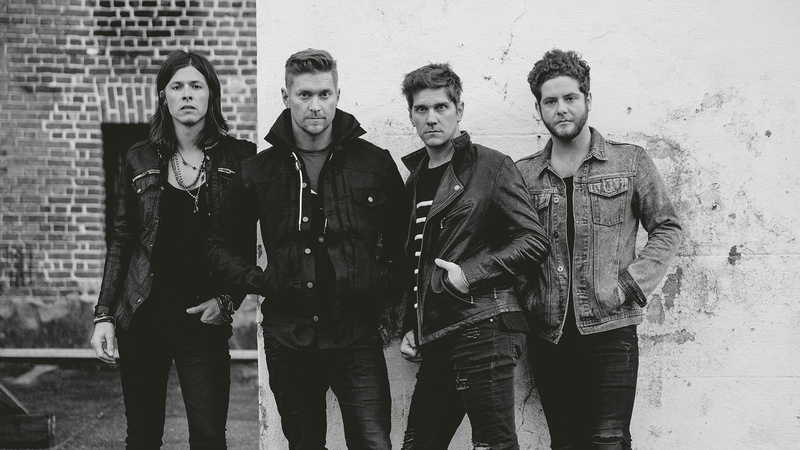 Southern rock band NEEDTOBREATHE is no stranger to life on the road. With almost two decades under their belt, the foursome have grown accustomed to touring the world and playing sold-out shows for their awesome fans. But sometimes even the "HAPPINESS" masterminds are stunned by their own accomplishments, like the moment they realized that they sold-out the "best venue in America", aka Red Rocks Amphitheater in Morrison, CO for the SECOND time. This is the experience that the Grammy-nominated group are exclusively sharing with us for part five of their video tour diary, What Do You Kids Want To Know About Now?, which follows the band on their headlining TOUR DE COMPADRES run. The rocker's largest tour to date kicked off on August 17 in Raleigh, NC, to promote their latest album, H A R D L O V E. The album has been a massive success so far, debuting at No. 1 on the Billboard Top Albums, Top Current Albums, Top Rock Albums, and Top Alternative Albums charts. Bear Rinehart, the "MONEY & FAME" creators' frontman, expressed to us just how much this show and venue in particular meant to them. "TOUR DE COMPADRES has been one of the most fun tours we've ever been a part of. Our second career Red Rocks sell-out was a huge highlight—there is no better feeling than playing to 10,000+ fans." Watch the behind-the-scenes footage below, which shows Bear, Bo, Seth, and Josh during soundcheck, enjoying yoga with a view, and hitting golf balls into the mountains. Then, make sure to track NEEDTOBREATHE on Bandsintown so you never miss them when they're playing in a city near you! Want to check out parts one through four of the tour series? Click here, here, here, and here.